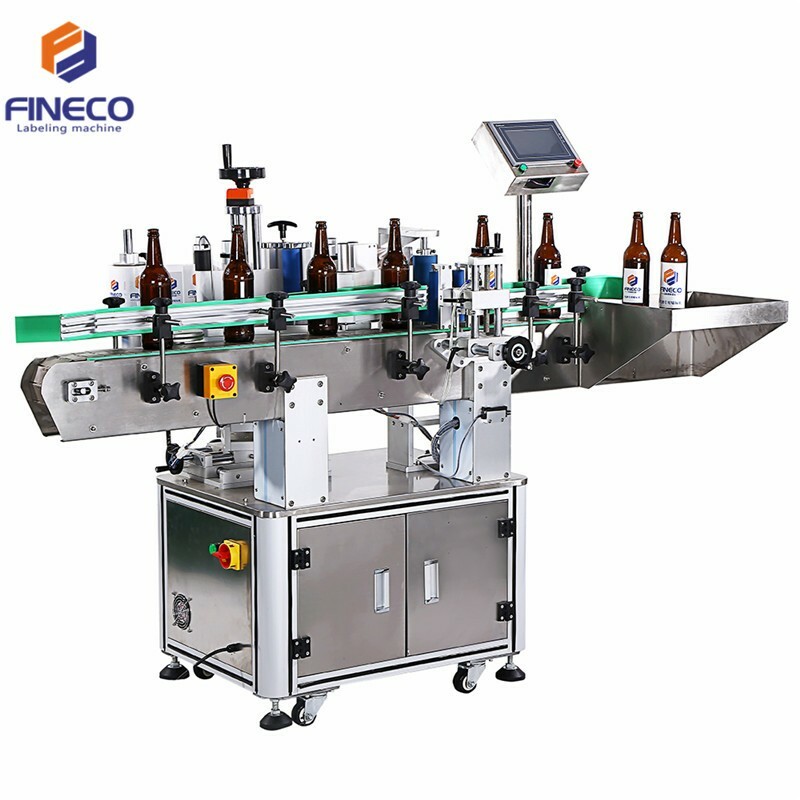 Donguan Fineco Automation Technology Co.,Ltdwhich can manufacture the high-quality of Wine Bottle Labeling Machine is famous for its renowned name Chinese “High and New Technology Enterprise” in 2017 and we also attained ISO90001 and CE certifications. Our Wine Bottle Labeling Machines are so popular that we have exported to America, France, Australia, German and 20 other countries and regions. Though we are at the top of this career, but we never stop pursuing on the research, development and innovation to be better. We are continuously trying to improve the quality of our Wine Bottle Labeling Machine, and introduced the technologies from German, Japanese, Italian and other countries to develop. Today we would like to share some specifications of our Wine Bottle Labeling Machines with you. Our Wine Bottle Labeling Machines are manufactured with a wide range according to the different requirements of the customers, they can do one label wrapping round labeling, two labels in front and back side labeling along with orien labeling. Our Wine Bottle Labeling Machines are ideal for all kinds of cylindrical, tapered object labeling. The devices of our Wine Bottle Labeling Machines include: Electrical cabinet, Conveying mechanism, Separate bottle device, Press bottle device, Roll label device, Brush label device, labeling engines, Operation system and control system and so on. 2. Operation System: Color touch screen, directly visual interface easy operation. Chinese and English available. Easily to adjust all electrical parameters and have counting function , which is helpful for production management. 3. Detection System: Using German LEUZE/Italian Datalogic label sensor and Japanese Panasonic product sensor, which are sensitive to label and product, thus ensure high accuracy and stable labeling performance. Greatly saves labor. 4. Alarm Function: The machine will give an alarm when problem occur , such as label spill , label broken , or other malfunctions. 5. Machine Material: The machine and spare parts all use material stainless steel and anodized senior aluminum alloy , with high corrosion resistance and never rust.